Leading ladies added their own twist to this classic borrowed-from-the-boys style. This week, leading ladies (and a man) dressed the part in perfectly tailored suits. 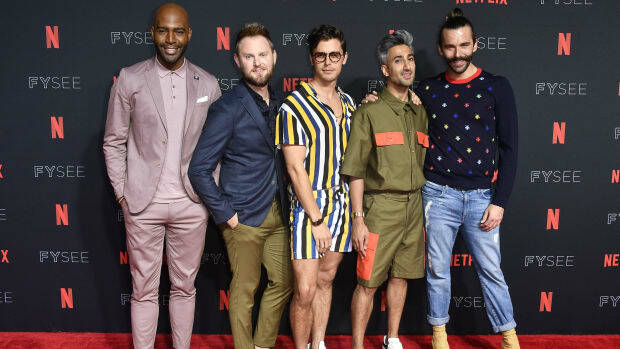 But forget what you thought you knew about power separates and all their boringly corporate underpinnings, because celebrities flocked to film premieres in feather-bedecked, crimson-colored, bold-belted iterations proving pants and blazers are favorable alternatives to billowy princess-like gowns on the red carpet. There was Meryl Streep, who attended "The Post" premiere in Washington, DC wearing gray cropped Prada trousers and a matching coat adorned in ostrich feathers, and Zendaya, who arrived at the "The Great Showman" premiere in Mexico City outfitted in a Ralph Lauren Collection red silk double breasted peak lapel tuxedo jacket, black tuxedo pants and a white tuxedo shirt. Over in Hollywood, the superstar singing duo Halle and Chloe Bailey attended the premiere of ABC&apos;s "Grown-ish" in plaid Tracy Reese suits, which they accessorized with statement leather bag belts in contrasting hues. Even Daisy Ridley, who wore a very standard Mugler tuxedo while promoting "Star Wars: The Last Jedi, added a little extra pizzaz to an all-black suit with some celestial embellishments. 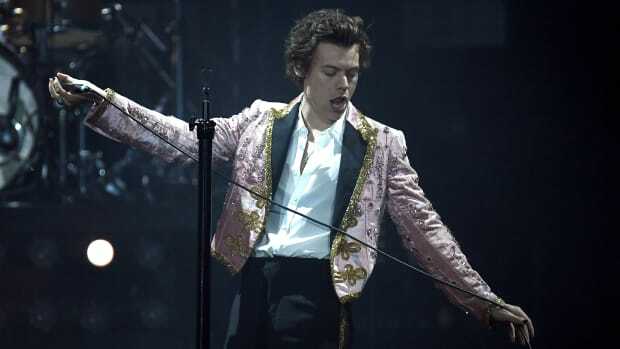 And of course, we can&apos;t talk about celeb suiting without pointing out a Harry Styles Gucci sighting from the week. The British singer filled in for James Cordon on "The Late Late Show" Tuesday night wearing another patterned gift from Alessandro Michele. Click through the gallery below to see all of our favorite celeb looks from the past week. Exaggerated proportions, puffy sleeves, baggy pants, flared midi skirts and all. But Harry Styles and Adam Rippon still stole the show. Our favorite celebrities opted for many Posh Spice-inspired, lustrous looks.